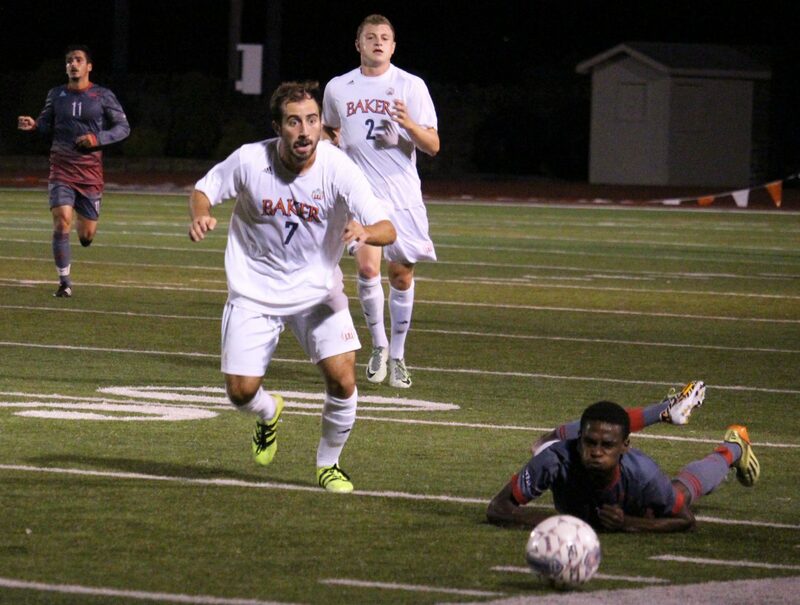 Midfielder Julian Sansano pursues the ball during Baker's 3-0 win over MNU on Sept. 27 at Liston Stadium. Image by Jenna Black. 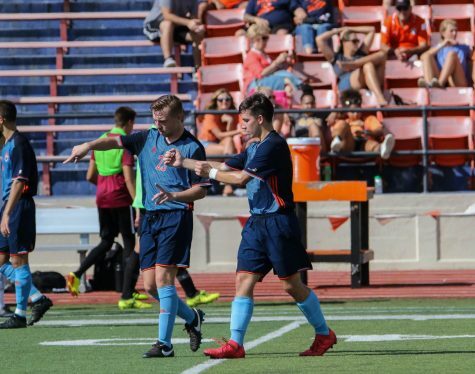 Coming off a 1-1 tie against Culver-Stockton last weekend, the Baker men’s soccer team was looking for redemption against rival MidAmerica Nazarene Tuesday night at Liston Stadium. After their previous game was cut short, the Wildcats were looking for a full 90 with a victory at the end. Junior Blake Levine said tying Culver-Stockton was a tough result for the team. 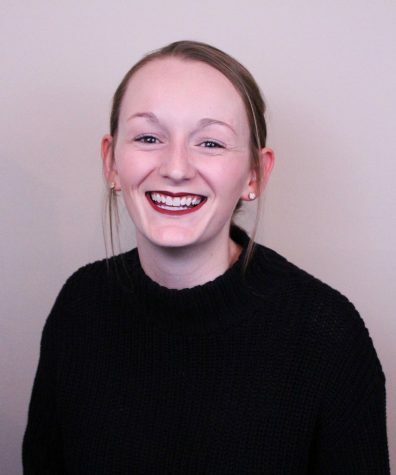 “We were not happy about tying Culver in that fashion and still not too happy, but we knew it was just one game and had move on and focus on MNU,” Levine said. 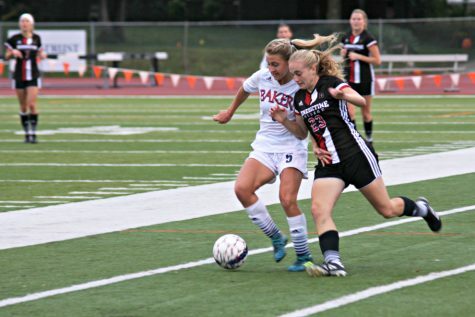 An effective offense led Baker to a victory while shutting out the Pioneers as well. 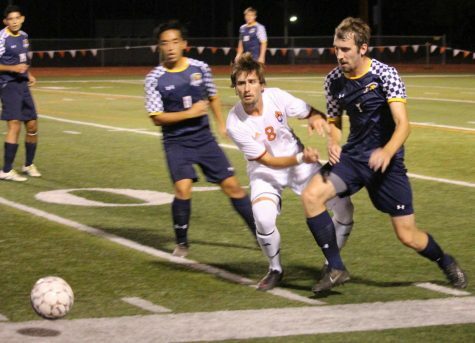 Baker began its scoring efforts in the 16th minute with a goal by senior Keaton Anchors, assisted by senior Kyle Young and sophomore Steeve Pouna, to give Baker the 1-0 lead. 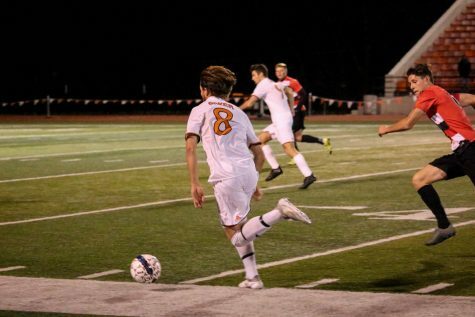 This was Anchors’ first goal for the season, as well as Young’s and Pouna’s first assist. Young had three shots in the game and Pouna had two. Two of Young’s shots were on goal. Baker had five shots in the first half compared to MNU’s four. 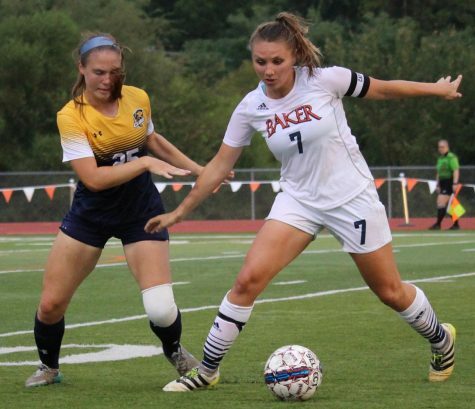 The Wildcats continued their scoring efforts in the second half with a goal by sophomore Gonnie Ben-Tal assisted by freshman Peyton Brown in the 81st minute, extending Baker’s lead to 2-0. This was Ben-Tal’s fifth goal in the span of five games. 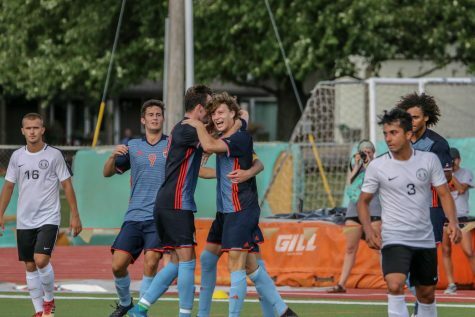 In the 82nd minute, Baker sealed the win with a third and final goal by Blake Levine, assisted by sophomore Austin Halsey. This was Levine’s fifth goal of the season and Halsey’s first assist of the season. Levine believes his scoring consistency with two goals in the last three games can be contributed to both his own mentality and the coaching staff. 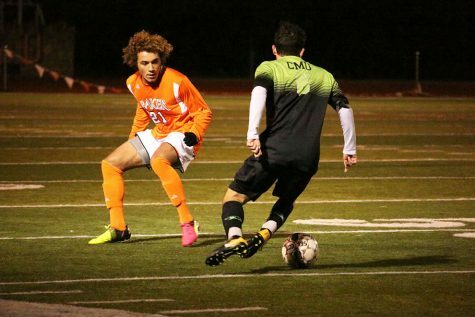 Baker goalkeeper Ryan Emme secured the shutout in his first start of the season and recorded two saves for the night. 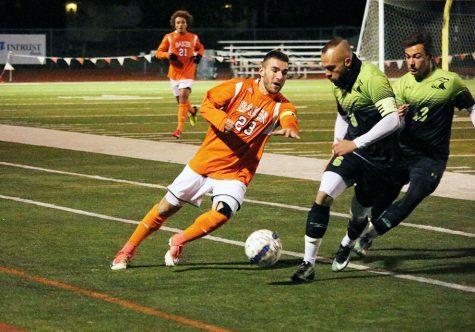 MNU goalkeeper Juan Pablo Riesco had three saves for the night. Baker outshot the Pioneers 8-1 in the second half. 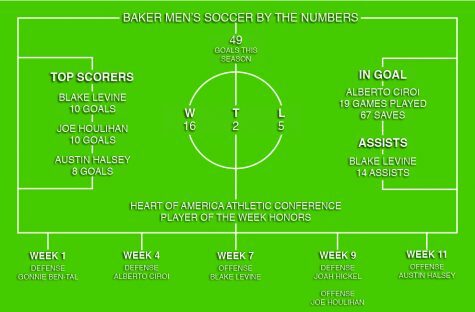 Baker men’s soccer is now No. 14 in the 2016 Men’s Soccer Modified Ratings Percentage Index announced on Sept. 28, with a 3-0-1 record in the Heart conference and a 7-2-1 record overall. The Wildcats will now travel to take on the William Penn University Statesmen Saturday, Oct. 1, in Oskaloosa, Iowa. 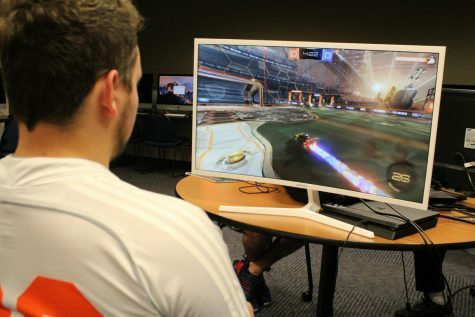 The team members will be traveling on a bus for more than four hours to reach their destination, but Levine believes the time spent together can help the team.